Bangor native and writer Ed Rice is starting a campaign to find support and interest in building a statue in Bangor of Maine Penobscot Indian Louis Sockalexis, the first Native American to play Major League Baseball. In his research, Rice learned Sockalexis played baseball games in Castine and Bangor. 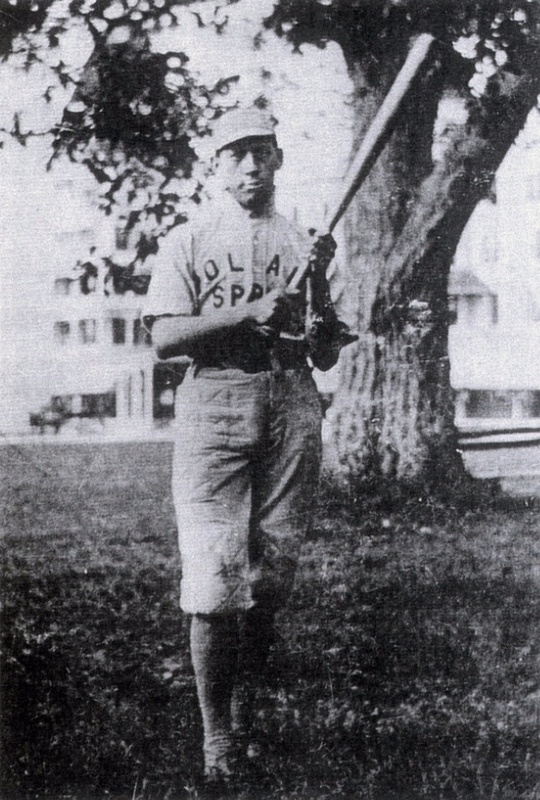 Sockalexis had a bright but brief career playing outfield for the Spiders, as the Cleveland team was then known, and batted .328 through July 3, 1897, to rank behind future Hall of Famers Honus Wagner and Big Ed Delehanty. He played in 94 games for the Spiders, from 1897 to 1899. He was out of major league baseball two years later because of injuries and alcohol abuse and died in 1913. Rice is unsure of how much funding is needed to erect a statue and explained his first steps are to gauge public interest for the project and interest from such groups as the Wabanaki Alliance, Bangor City Council, Bangor Chamber of Commerce and Bangor Historical Society. Sean Faircloth, a member of Bangor City Council, said he would be willing to learn more about Rice’s proposal. He is open to the idea of Bangor being the site for the statue without the support of governmental funds. He explained he was speaking as one city councilor, and any proposal would need to follow a process and receive full council scrutiny. The city is a host to several statues and memorials, according to Matt Bishop, interim director and curator of the Bangor Historical Society. The statues are the Hannibal Hamlin and Victory statues in downtown Bangor and the Paul Bunyan statue next to the Cross Insurance Center. There are also many war memorials in the city. At Mount Hope Cemetery are the Second Maine Infantry, Civil War Soldiers, Korean War and GAR memorials. There are Vietnam and World War II memorials at the Cole Land Transportation Museum, and the USS Maine memorial is at the corner of Main and Cedar streets. There also is a Sister City Memorial on the waterfront that is dedicated to the friendship between Bangor and Harbin, China, and the River Drivers memorial next to the Bangor Public Library. Filed Under: Statue for Sockalexis?